*Ferne describes this last coat as “the coate belonging to her family and house,” which does seem to be accurate. However, these arms seem to have originated with Anne’s grandfather, John the Blind, who quartered them with the more customary arms of Luxembourg (barry argent and azure a lion rampant double-queued gules armed, langued, and crowned or). He may have chosen to invert the tinctures of the ancient arms of the Dukes of Limburg, his ancestral line. 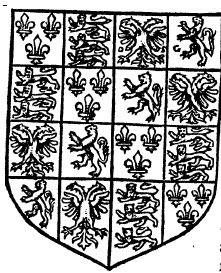 Torquatus points out, correctly, that this arrangement of the arms implies that Anne was an heiress, which she was not. Paradius (Ferne’s mouthpiece character) concedes the point, admitting that this arrangement is rare, but goes on to argue that this is a legitimate configuration of arms, since it is essentially the customary impalement of the arms of a married couple counterchanged by fess.This claim is dubious at best. “Louis” appears to be Alfonso d’Appiani, brother of Jacopo VI. He seems to have been a military man, possibly serving under Ferdinando II de’ Medici, Grand Duke of Tuscany. The alliance between the Appianis and the house of Aragon began (informally) in 1445, when Emanuele Appiani married Colia de’ Giudici, the illegitimate daughter of King Alfonso V of Naples. His great-grandson Jacopo V also married into the house of Aragon via Marianna of Aragon in 1510, though she died before she could bear any children.